We are proud to introduce our beautiful Silver Glitter Dandelion on Mirror. This piece was hand finished in the UK and comes in a stunning silver colour. 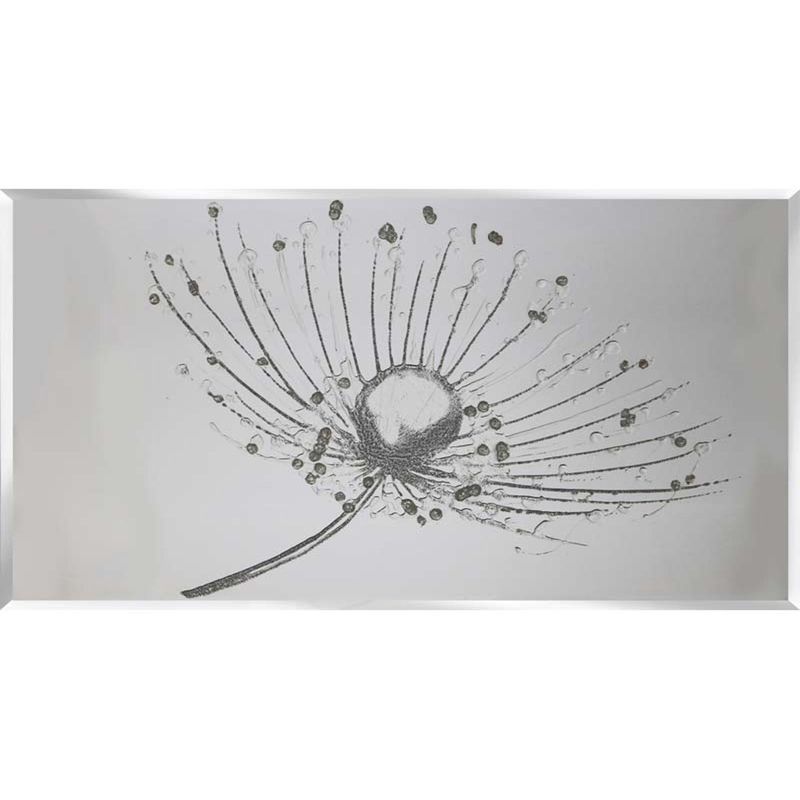 Featuring a dandelion flower made with glitter, giving your home a chic and glamorous finish. Available in our three set sizes and you can also custom size your purchase, you wont fail to impress with this design.